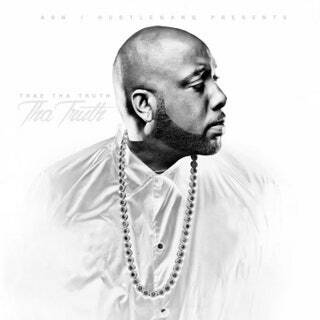 If there’s one thing the promo team behind the relaunch of rapper Trae Tha Truth’s online hip-hop cartoon, The Adventures of Trae Tha Truth, wants you to know, it’s that the rapper doesn’t smoke weed. But even though the Houston heavyweight doesn’t light up, cannabis factors heavily in his animated creation. And now, the show’s ties to the marijuana world are official. Recently, the show, which has been on a 10-year run in some form or another, was acquired by 420 Entertainment, a company with a new online cannabis channel called 420TV that’s set to debut this month. “The cartoon is based on situations that I’ve been in, with certain parts exaggerated,” Trae told Herb. Down the line, he plans to include episodes tied to Hurricane Harvey, which destroyed much of his Houston neighborhood. But he doesn’t want his show to lose the comedic edge it’s known for. The cartoon is entertainment aimed at the kind of audience that gets high, despite the fact that it’s not made by someone who lives the stoner life. “I just want to clarify this, Trae has said he never smokes pot and he doesn’t drink,” the publicist for 420TV reiterated during an interview. Trae explains that his choice to live sober has always been necessary because people in his neighborhood counted on him. “I was always the one to keep the level head to make the right decision,” he said. His instincts have served him well in a long career that shows no signs of ending. Trae’s M.O. is well known in Houston. He’s a blue-collar rapper, respected and admired in hip-hop. And even though he’s not yet a household name, he’s rap super-famous. He’s the vice president of Grand Hustle Records, the record company created by his boss T.I. And we can expect his rap connections to lead to some high profile appearances on the newest episodes of his show. In one episode, T.I. joins Trae on an expedition through Egypt where they fall into a mummy’s tomb. A bottle of sizzurp, an infamous codeine-laced party drink, also enters the fray in an absurd play on old-school mummy horror movies. The show debuted in 2008 and was picked up in 2014 by actor and comedian Marlon Wayan’s What the Funny website. That agreement was for 10 episodes which featured an array of guest appearances including rappers Mystikal and Rick Ross. In his recent interview with Herb, Trae hinted at a possible animated appearance from weed rapper Redman on a future episode. “Our whole goal is to blow the TV station up as far as them blowing the cartoon up,” Trae said about the partnership with 420 TV. The rapper is particularly excited about the possibility of his cartoon reaching a wider audience, this time backed by a budget. “Even past the money is the option of freedom,” Trae said. The best part of the deal, he says, is that 420TV is allowing him to produce the show on his own terms, without interference. And it could prove beneficial if Trae’s cartoon takes off. The list of hip-hop related animation is rather short, and Trae hopes that his show will make history. He doesn’t plan to ever stop producing it either. “I’m consistent in everything I do,” he said. 420TV is in Beta testing now, but you can get a cartoon fix with the original 30 episodes of the show, which are available online. On Feb. 22, 420TV is expected to go live with the rapper’s cartoon anchoring its batch of offerings, which includes show’s like Pot Cast, a news show about the marijuana industry, and Marijuana Moguls, a show that profiles successful cannabiz entrepreneurs. And don’t call it a side gig for the longtime rapper. “The potential of this cartoon can probably take me 50 times further than my music career if it happens in the right way,” he said. The new Trae cartoon episodes on 420TV will roll out in June.